OK, this is the silliest thing I’m going to add to the weather station. I think I’ve heard ONE thunder storm this year so testing will be hard. The module comes from Embedded Adventures. This isn’t an ebay special! The chip is $ and the antenna is $$ AND the module needs calibrating. They do that for you hence the price. 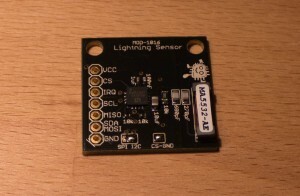 Essentially it is a lightning detector with an I2C interface. It can tell you how far and if it is ‘cloud to cloud’ or ‘cloud to ground’. Very neat! I’ve seen such devices before but they have big antennas and cost mega $$. 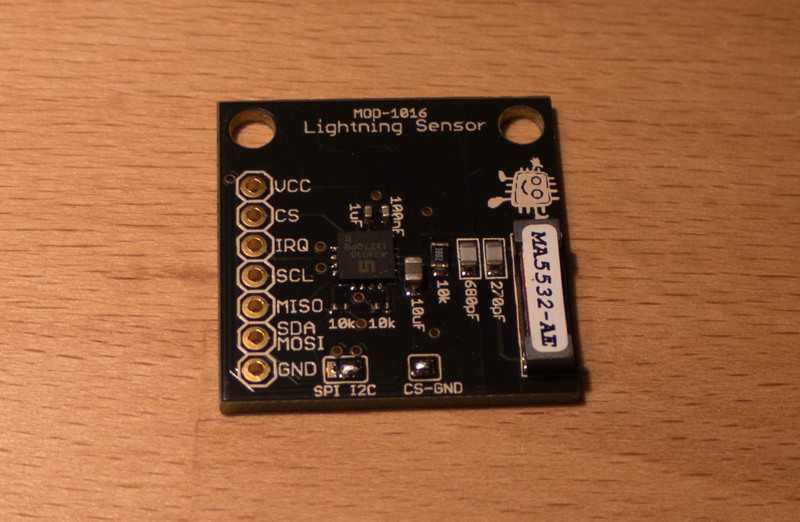 Some of them even do direction sensing which is super cool. This doesn’t. Looks like I’m starting from scratch on the arduino library. And then I need to anger Thor and see if it works.